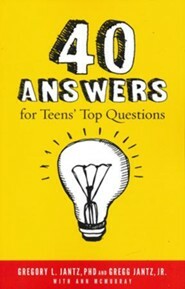 Teens and pre-teens have questions that parents don't always feel equipped to deal with off the cuff. 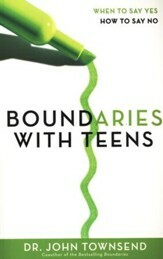 Between the challenges of rollercoaster emotions and boundary-setting, parents find it difficult tocreate honest and safe moments necessary for open conversations with their teens. 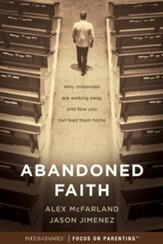 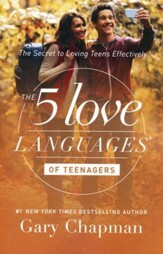 Dr. Gregory Jantz, along with his teen son, designed this book to help you set the stage for communication on essential topics, providing not just answers, but reassurance and encouragement on issues from zits to faith. 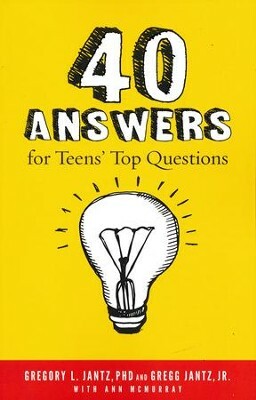 I'm the author/artist and I want to review 40 Answers To Teens' Top Questions.